Marius von Mayenburg's comedy Perplex is a four-hander with a lot of characters. The cast - Andrea Demetriades, Glenn Hazeldine, Rebecca Massey and Tim Walter - change from everyday couples into increasingly fantastical creations. 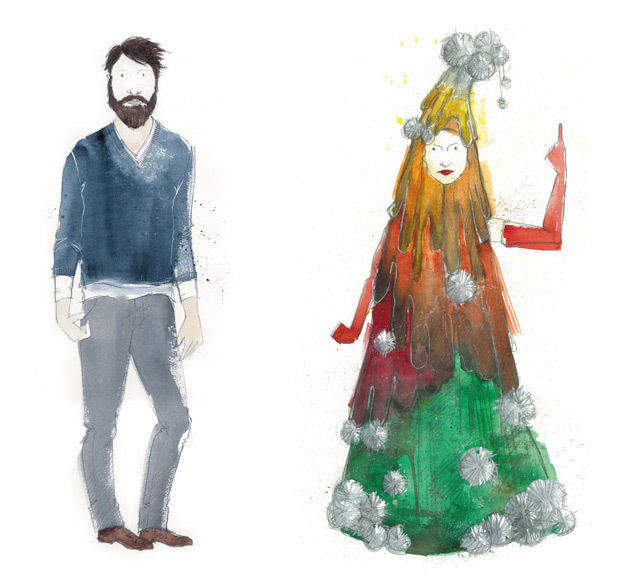 Our Resident Designer Renée Mulder is designing both the set and costumes. 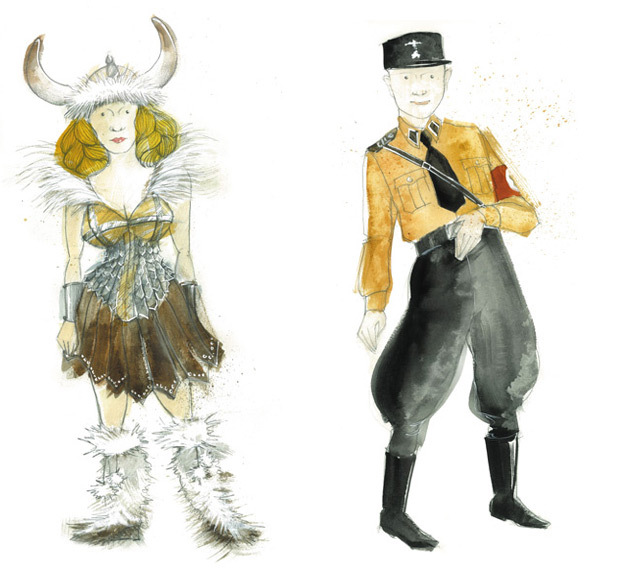 And, while we want to save some of her hilarious creations for opening night, Renée's beautiful illustrations of a few of the costumes give you a sense of where things are headed. Perplex, 31 March - 3 May 2014, Wharf 1 Theatre.